A matchday full of emotion and even more full of goals in LaLiga. The title race may be back on after all for Real Madrid after Barcelona slipped up. But who impressed most? Marc-André ter Stegen (Barcelona) was in incredible form on Sunday evening. 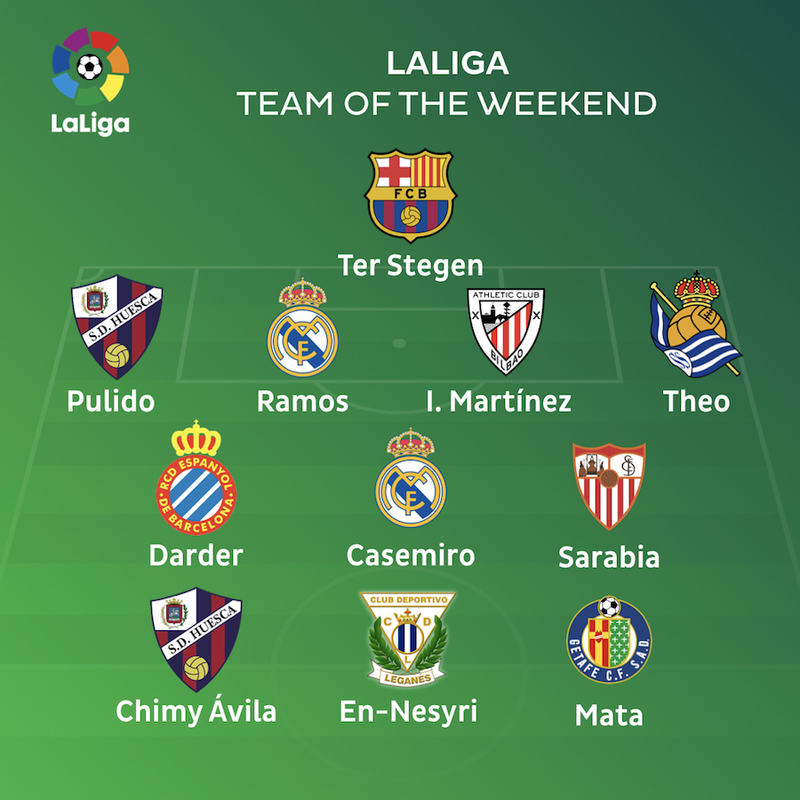 He makes the team of the week, no doubt about it. 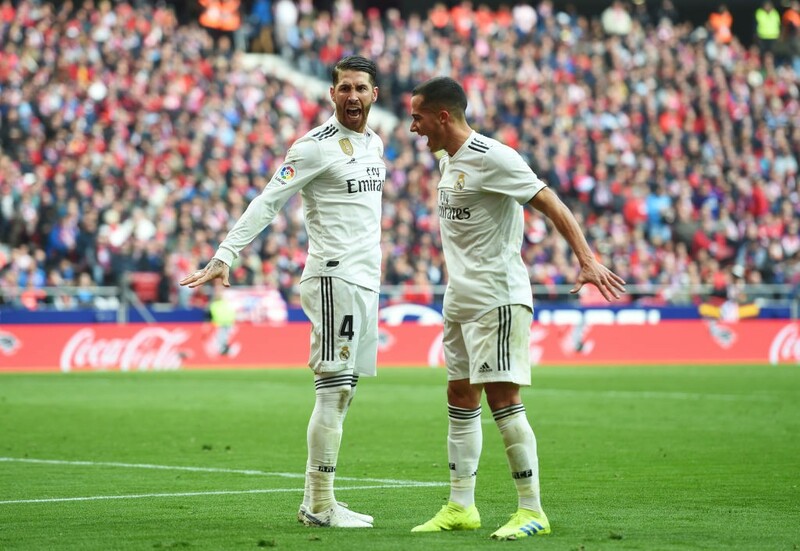 Ahead of him, Sergio Ramos (Real Madrid) cannot be overlooked after yet another heroic derby performance. He’s joined by Iñigo Martinez (Athletic Club), who shone for Athletic as they kept a clean sheet against Messi and co. Pulido (Huesca) and Theo Hernández (Real Sociedad) complete the defence. A Madrid derby goal from Casemiro (Real Madrid) earns him a place in the midfield. He’s joined by fellow goalscorers Sergi Darder (Espanyol) and Pablo Sarabia (Sevilla). Up front there are six goals in total. One from Jaime Mata (Getafe), who continued Getafe’s dreams of Europe. Two from Chimy Ávila (Huesca), who provided hope in the fight against relegation. And a hat-trick from Youssef En-Nesyri (Leganés), who now has seven goals in his last five games and became the first Leganés player to ever score a LaLiga hat-trick.